Songs - ONWARD! ; MAMA, YOU'RE MY FAVORITE GAL; A LOVELY SUMMER; DREAMS OF YOU; SO COOL; THE LAUGH SONG; MOUNT RUSHMORE; ATOMS; HAVING THE TIME OF OUR LIVES; HURRY UP AND WAIT; FOLLOW ME; FLAVOR OF THE MONTH; HEY HO, LET'S ALL GO! ; A YO-YO STATE OF MIND; BRIDAL CHORUS (FROM LOHENGRIN) (Low D, E, F#, G, A, B, C, High D, High E. OPT. PT. 2 G, A, B, C. OPT. ALTO PT. G, B, C, C#, D, E, High G.); KINDNESS GOES FAR. 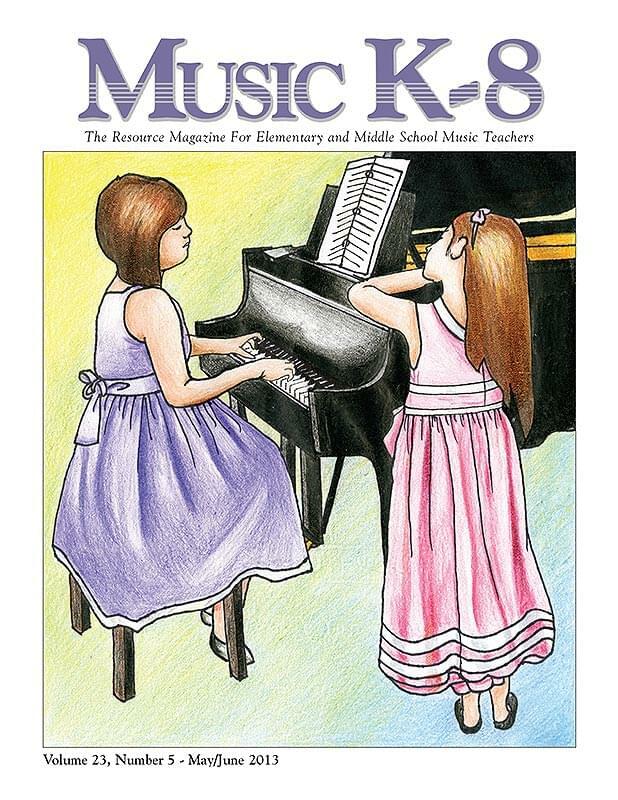 Articles - Cover Contest Results; Network; Yo-Yo Warm-Up; Finalists, Honorable Mentions; Shaking My Head - Carol's Corner; About the Music in this Issue; Quodlibet; Photo Journal...and more!